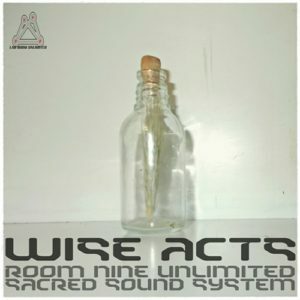 Wise Acts is a release that brings us a taste of two different projects by Portuguese artist Paulo Fernandes: Room Nine Unlimited and Sacred Sound System. Capturing something of his most recent work, this collection gives us joy in what’s best of both projects in a light bundle, full of soft and deep melodies, lead by pianos and sentimental synths and effects. Mastering and artwork by Paulo Fernandes @ Lab Room Unlimited Studios, Portugal. MP3 Download | FLAC Download | WAV Download · Download count: 12,074.
feeling of disconnection between the bassline and lead on the first track is strong. good job! specially track 2 and 4 were really masterpieces!! Being that this composer loves to use piano in EVERY single track, I would think they should get a nicer sounding piano plugin, or just use a real piano. His music is quite emotional, but I find I never put it in mixes because the production is awkward.